The Twitter integration allows you to automatically tweet about new listings, reviews and comments as these are submitted to your site, or as they are accepted via moderation. The tweets go out from the Twitter account you choose to setup for this purpose. You can also add a custom hashtag to be appended to the Tweets and the hashtag can be different for each listing type. So you could have a #BestHotels and a #BestRestaurants hash tag for Hotel and Restaurant listing types. Read in more detail how to setup the Twitter integration. Another point of integration with Twitter is via Twitter Cards. This improves the way your shared content is seen on Twitter when you enable the Twitter share button in the Configuration / Community tab. You can choose the type of card you want to use for each listing type in the Listing Type SEO Manager tab. The Facebook integration can also make automated posts to Facebook, but unlike the Twitter integration which uses your own Twitter account to make the Tweets, with Facebook the posts are made on behalf of the person that is submitting the listing, review or comment. This allows everyone that follows this person on Facebook to view the activity as well and increases the potential of generating traffic back to your site. The downside is that moderation for posts needs to be disabled for this feature to work. Facebook has made the integration process a bit cumbersome. You need to create a Facebook App in the developer site and you also need to request that publish actions permissions be enabled for this App. 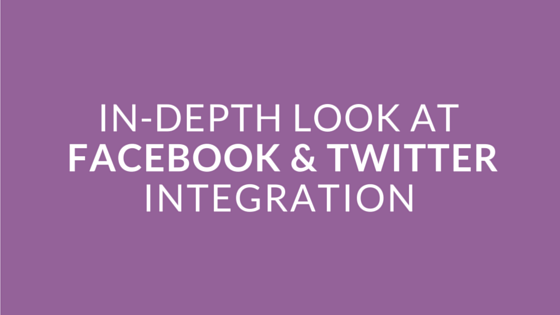 This requires you to go through an approval process with Facebook where you show them how the integration works. The easiest way to do that is by using the review form. Enable reviews for guests and provide them with the link to the listing detail page and also try to use screenshots to show them the process. Read in more detail how to setup the Facebook integration. If you want to be able to automatically make the posts appear in your own Facebook account or page, you can use the built-in Facebook integration offered by Twitter so that posts you make on Twitter are also automatically posted on Facebook. Read in more detail how to connect your Twitter and Facebook accounts.